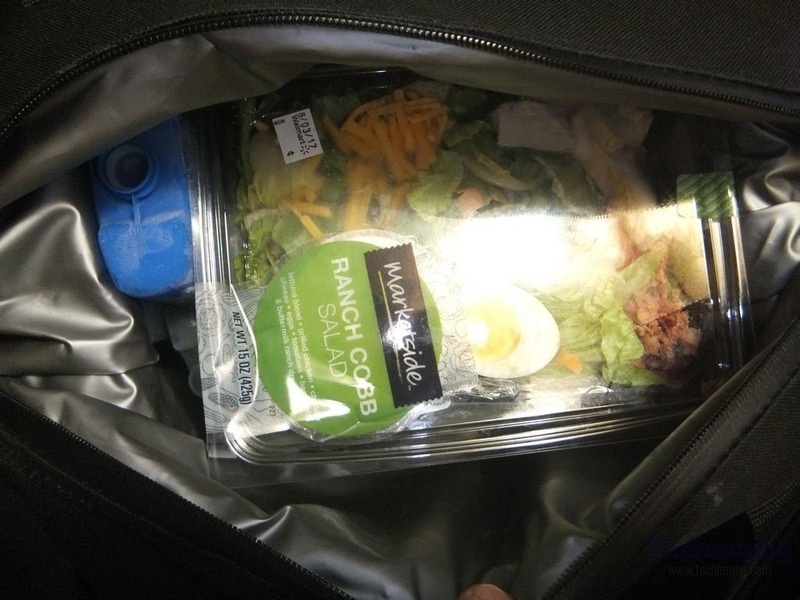 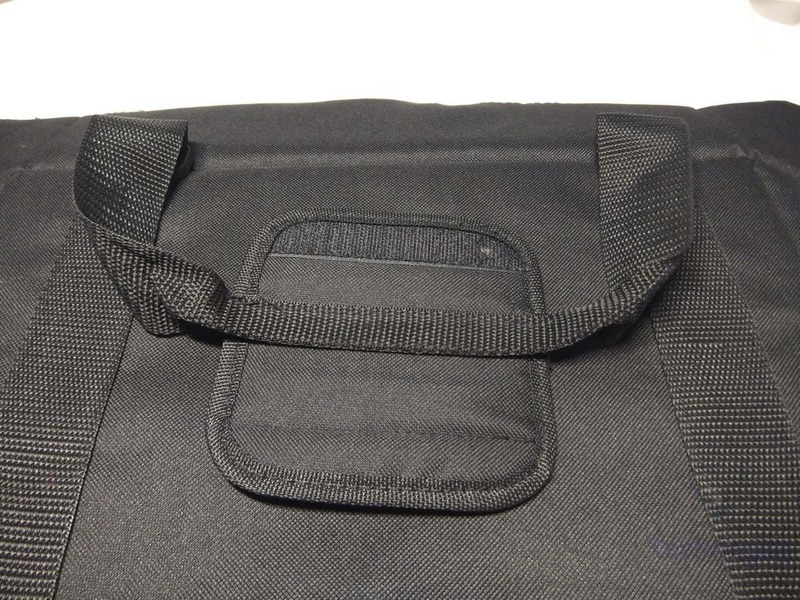 The front of the bag has a small zippered pocket for napkins or whatever else. 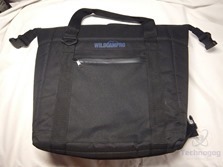 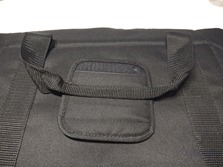 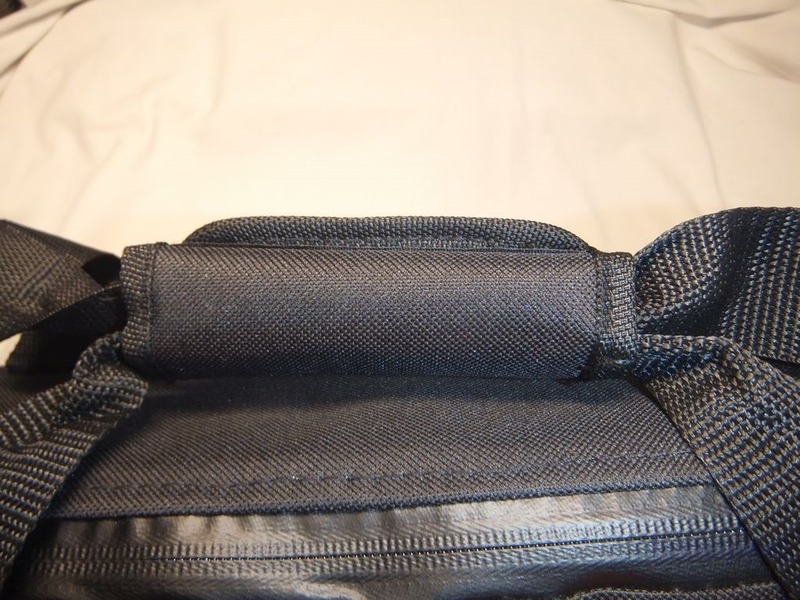 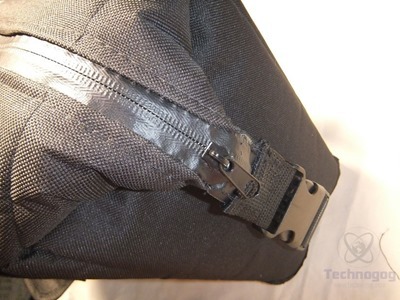 There are two handles on the bag that can be combined with a velcro pad. The zipper seals closed as there is plastic on the top, this helps to keep the cold air in. 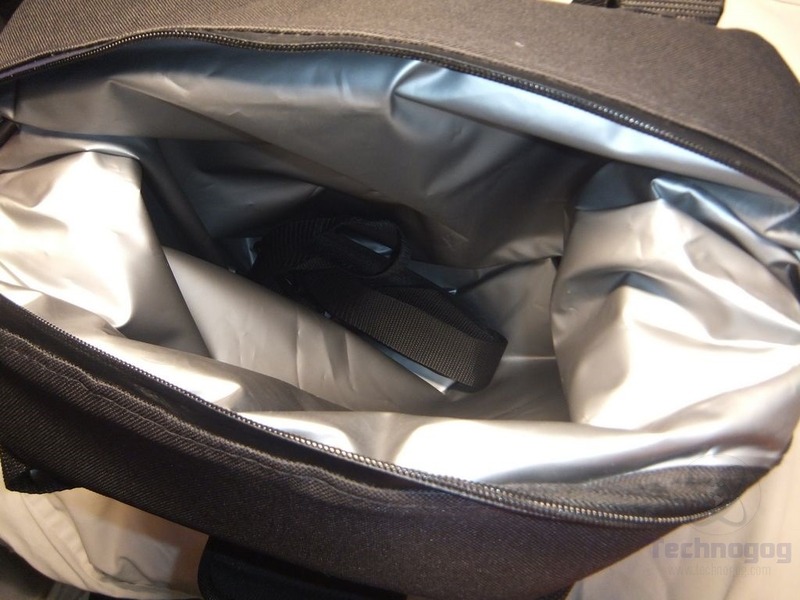 The inside of the bag is silver in color and padded with lots of insulation and you’ll find the shoulder strap in here as well. 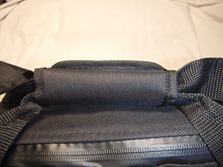 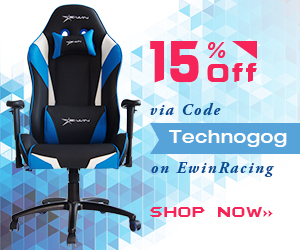 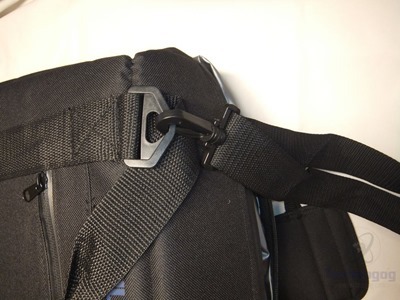 The strap attaches to the sides with heavy duty clips, the strap does have a should pad and it’s adjustable. 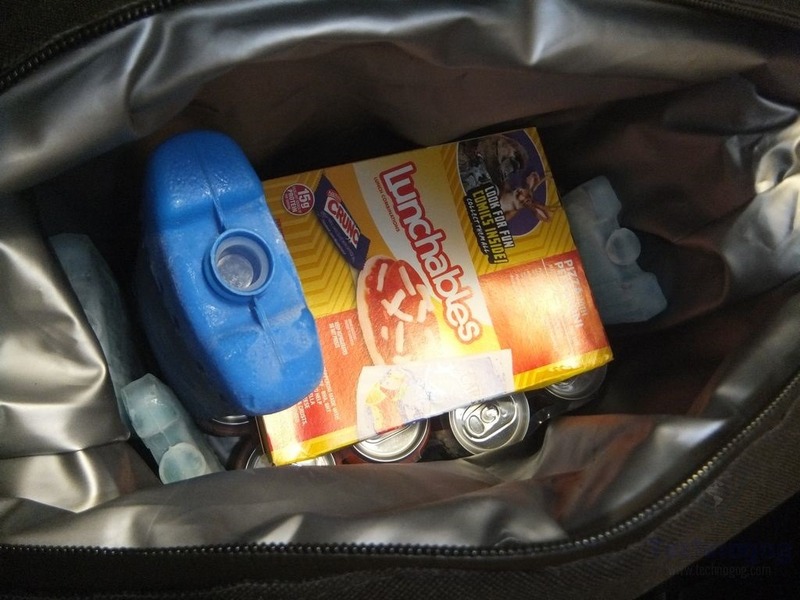 So my family was going on a day trip to Idlewild park so we packed the bag with soda pop and food and ice packs and everything fit just fine with a bit of room to spare. So we realized we forgot something and went to open the bag back up and the zipper pull bent as I was opening the bag and then the zipper broke, it just bent and separated. 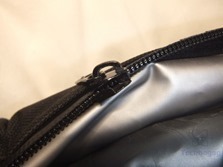 I tried to get it back together and the zipper just broke in half so now I’ve got a really nice bag that won’t close. 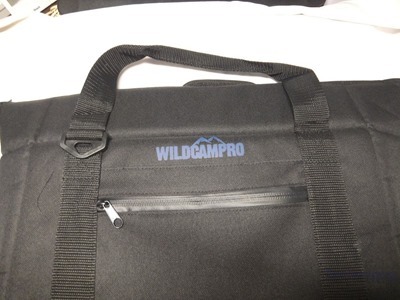 The Wildcampro bag is great, it’s well insulated, and well made overall but it didn’t last long at all. 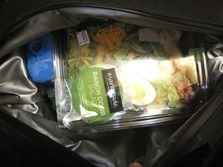 I really wanted to like this bag and did for about 10 minutes until it broke. 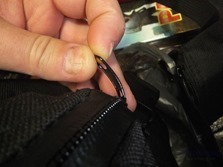 I’m handy with things, I do lots of DIY stuff but I couldn’t fix the zipper, in fact it broke in half when I tried to squeeze it back together.